As they wrote at BobVila.com – “The Ultimate must have for the grill-savy Dad.” Nice and concise and exactly what we have been saying for years. It is especially nice to read praises for our grilling multi tool from people who know tools. 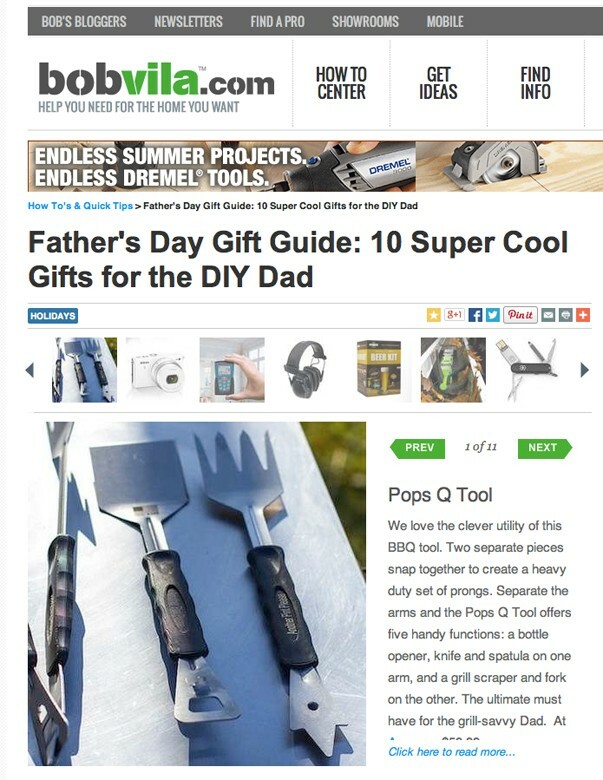 Pretty sure the crew at BobVilla.com have seen ever hammer, wrnech, drill, and now bbq tool under the sun – so to be highlighted by them is a great compliment.